Today I will review The Vinoperfect Concentrated Brightening Essence, next week I will share with you my thoughts on the serum and I will also do a sample post about the day- and nightcream I tested. Caudalie is a French cosmetics brand. They are commited to selecting natural, environmentally-friendly and active ingredients wherever possible and they use as little preservatives as possible. They commit themselves to not use controversial and artificial ingredients and they are part of the “1% for the Planet” movement which means they donate 1% of their global sales to NPOs that work to protect the environment. “Inspired by the Asian skincare routine, this lightweight, refined formula is both gentle and effective, leaving skin feeling smoothed, plumped and illuminated. Glycolic Acid works to eliminate dead skin cells, whilst extracts from White Peony revitalises the skin to reveal a more even, healthy-glow. 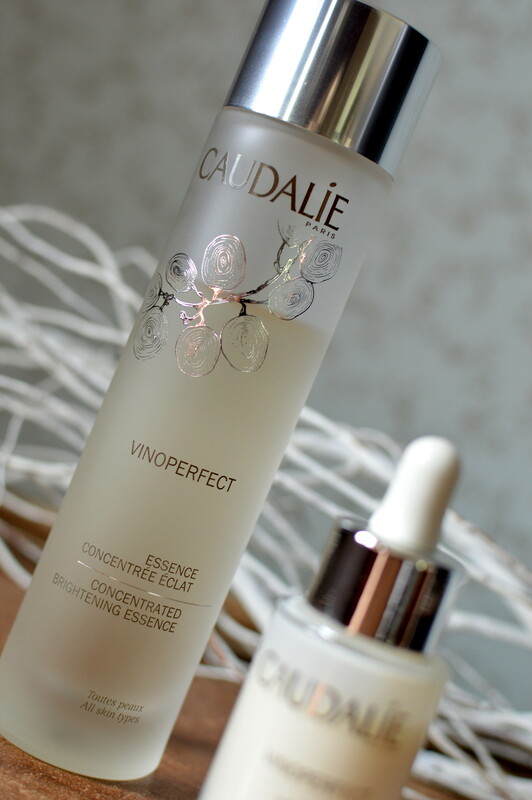 Enriched with Caudalie’s signature grape water, the Vinoperfect Concentrated Brightening Essence also contains hydrating, soothing and moisturising properties for a beautifully flawless complexion. My pores are smaller and my skin looks more radiant. The patches in my neck have diminished. I love the fresh smell of this essence. 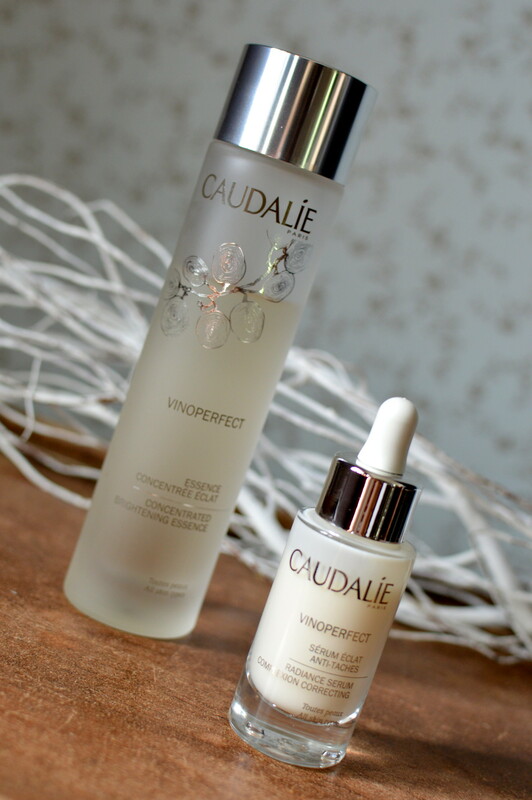 When you buy the Vinoperfect serum online, fill in this promocode: NVUFHR and you will get one Caudalie Vinoperfect product for free! What are you waiting for? As I mentioned before: this promo expires by July 31st 2018! This really is an honest review and I can recommend the essence from the bottom of my heart! PS: this is a sponsored post, but this definitely has not inluenced my thoughts on the product. What you can read above, is my honest opinion after using the essence for about 4-5 weeks. 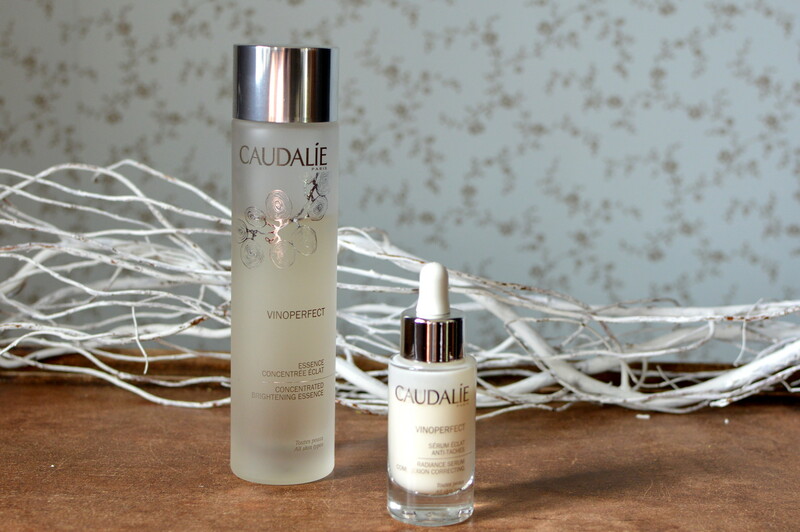 This entry was posted in Beauty, Skincare and tagged beauty, caudalie, essence, skincare, vinoperfect. Amazing review!! I love Caudalie a lot, I’ve used their beauty elixir facial spray, it’s one of my favorite sprays. Will definitely check that essence out!